The IPPA Best Book Award is awarded biennially at the Association’s International Conference on Public Policy (ICPP). The award is given to a single- or co-authored monograph that makes an original and significant theoretical, methodological and/or empirical contribution to the field of Public Policy and/or Public Administration. In 2019, a Jury established by IPPA and composed by Klaus Schubert (University of Munster), Olivia Jensen (Lee Kuan Yew School) and Kent Weaver (Georgetown University) will determine the Best Book Award winner. 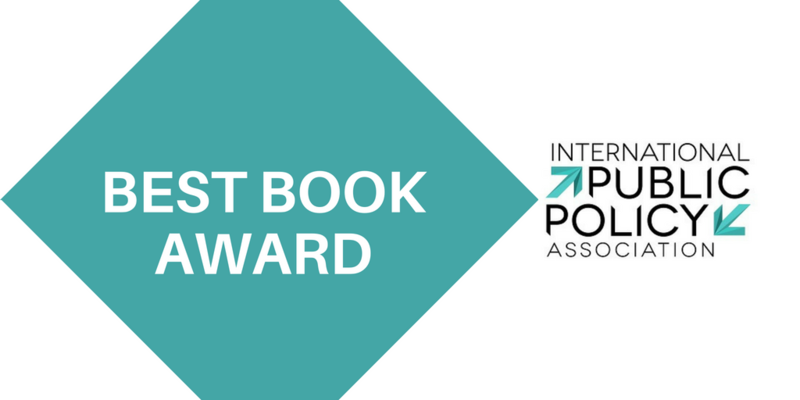 The 2019 Best Book Award will be announced in January 2019 to the winner and will be officially presented at ICPP4-Montreal 2019,(June 26-28, 2019) where a panel will be devoted to the winning book. 13 applications have been submitted. IPPA launched its first-ever Book Award for Public Policy. This award celebrated the best original research effort in a volume-format contribution to the field of public policy published in English between 1 Jan 2015 and 31 December 2016. The award-winning volume took place at the Gala Dinner in the Gardens by the Bay at ICPP3 - Singapore 2017. Out of the 22 books received for consideration for the award, the jury presented the Best Book Award in Public Policy to Bryan Jones and Frank R Baumgartner for their book; The Politics of Information: Problem Definition and the Course of Public Policy in America (University of Chicago Press, January 2015).